Your van is ready - so get started to plan your trip! Also interesting links to several website where the main themes are all about motorhoming and travelling on four wheels. Enjoy! This smartphone app grows every day. You can find, add and comment places where campers (may) stay. From the rest area for a couple of hours to wonderful, peaceful Hideways- Wikicamps knows them all! IMotorhome- the new online Emagazine! This mag is not only published in Australia- it's truly focused on Campervans and Motorhomes ONLY. You can subscribe for FREE here. Australian wide and international RV Links: A large RV & Motorhome Resource Website which contains a number of RV related products & services such as RV rentals, RV Parks - Campgrounds, Sales, Manufacturers, Dealers, Accessories, Shows & Events, RV Tours, Associations & Clubs and much more for your RV needs. 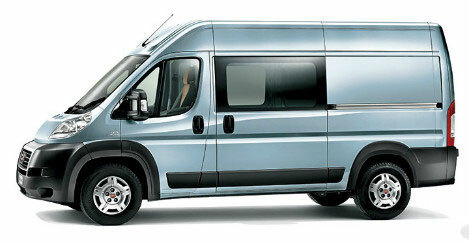 In case you looking for a new or near new vehicle to convert into a campervan- check out the 2014 Fiat Ducato. The extra width of the van, the low level to enter the back and the comfortable driving are just some of the reasons you might consider a Ducato as becoming YOUR next motorhome. 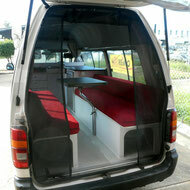 Contact us, as we have good contacts to purchase a Ducato for a top price. After the runaway success of five editions, Camps Australia Wide has produced their sixth edition, with more sites, informative symbols and in full colour. Find Australia wide a place where you enjoy your stay in your van! Purchase the guide direct from Camps Australia Wide with snap shots for easier choice where your favorite place is for your next stay. With 62,000 Members, the largest motorhoming (RV) Club in Australia CMCA offers many benefits including tailored insurance, a monthly magazine, social events through 96 local Chapters throughout Australia, a Solos Network for Members travelling alone, two National Rallies per year and lots more. Visit the Go See Australia website: the place for all caravan parks, campervan, recreational vehicle (RV), motorhome, camping grounds, tourist parks, or holiday parks cabin adventure anywhere in Australia. Also pet friendly parks are listed and extensive directory for all campervan and traveller products and services.